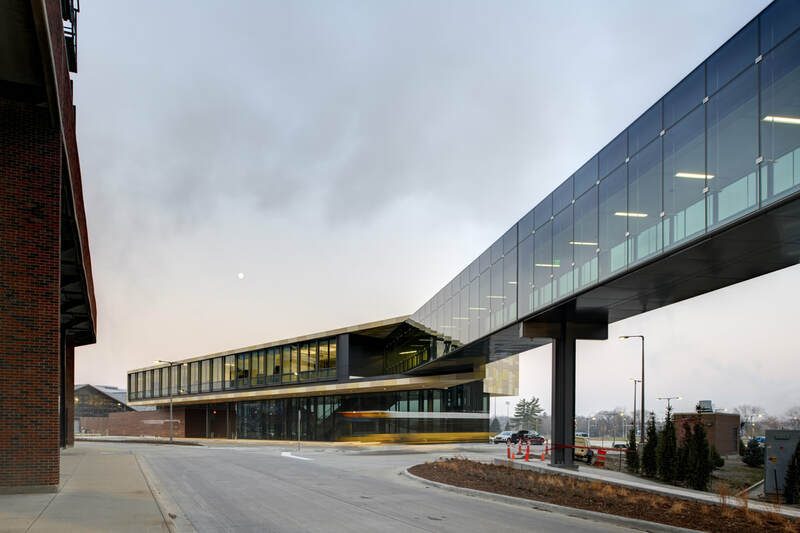 This two-story, 18,000 SF transportation center contains two skywalks to the nearby hospital and clinic and features office space for the Parking and Transportation Department. 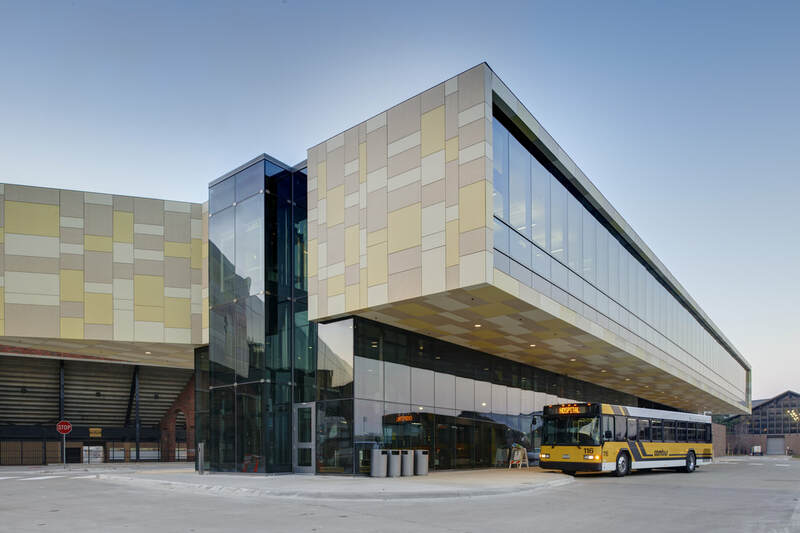 AWS' scope for the project included engineering, manufacturing and installing the structural glass curtain wall, the aluminum storefront and the unitized ACM panel rain screen. AWS also engineered and installed Soffit Metal panels to the fiber cement wall and miscellaneous interior glazing on the project.